Back pain, particularly lower back pain, is the main reason people come to see us at Touch2Heal. However the causes of back pain can be quite varied. We see more and more people with postural problems caused by sitting at a computer. Poor desk setup can place increased pressure on the lower back. Other common causes are poor driving positions, heavy lifting and muscles strains due to activities such as cleaning and gardening. If you injure your back there are a number of different structures that can be damaged or affected and cause pain. 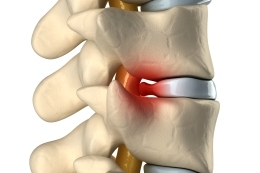 A slipped disc (herniated or prolapsed disc) is common. Strains can occur in the muscles. Joint inflammation or ligament damage are frequent culprits. Quite often the pain can be referred in that the cause is elsewhere such as the leg. Although thankfully rare, infection or cancer could be to blame. Back pain will often manifest itself as dull aching sensation, particularly in the back, buttocks and thigh. It is not unusual for this pain to be sharp or even excruciating at times during particular movements. A trapped nerve can be quite debilitating as is the case with sciatica, itself often the result of suffering a prolapsed disc. Osteopathy and acupuncture are effective treatments for the majority of back problems. To help rehabilitation we also provide postural guidance and advice on relevant exercises. If you are suffering from back pain then book an appointment to come and see us at our clinic in Ashford (Evegate) in Kent.